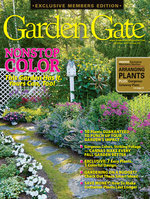 Shrubs add color and structure to any bed or border — especially in spring. And they’re a great choice if you don’t have a lot of room in your yard but still want the height and architectural interest a tree provides. 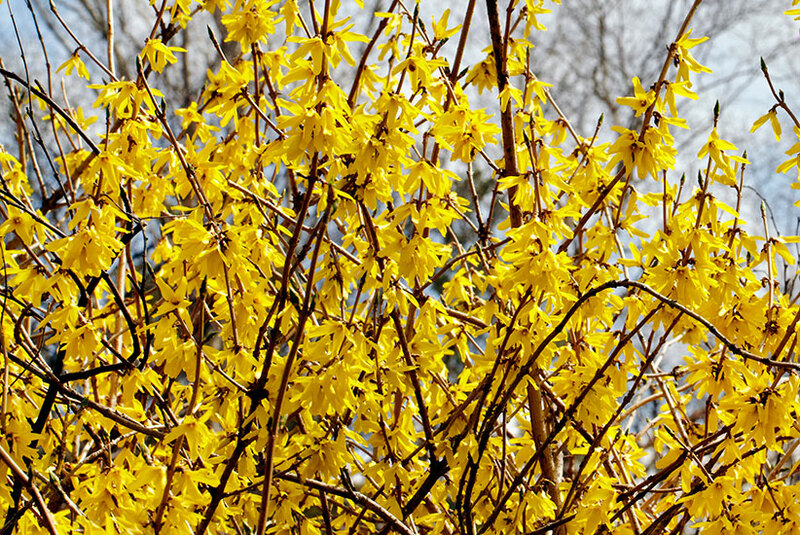 The first flush of bright yellow flowers of forsythia is a beacon of spring, letting you know what you can look forward to. 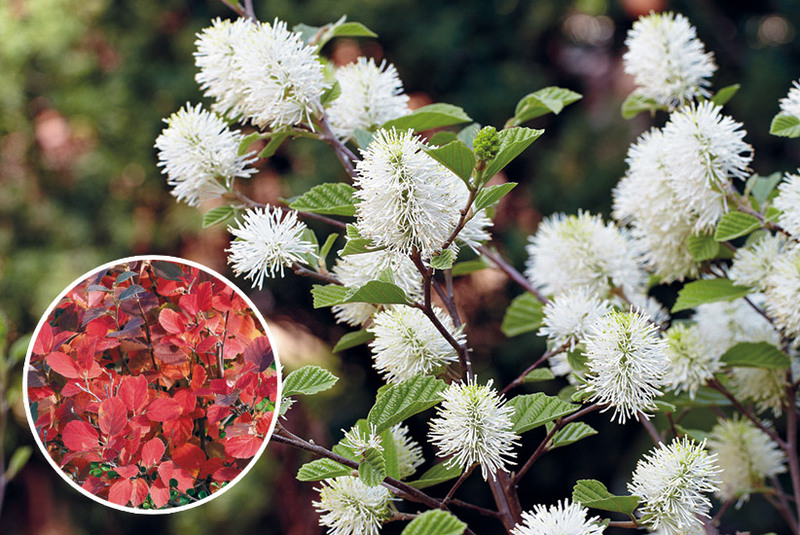 Count on early spring bloomers to kick-start the show in your garden, and watch the color keep coming with later spring bloomers like dwarf fothergilla and gardenia. Click through the slideshow below to learn about all 5! 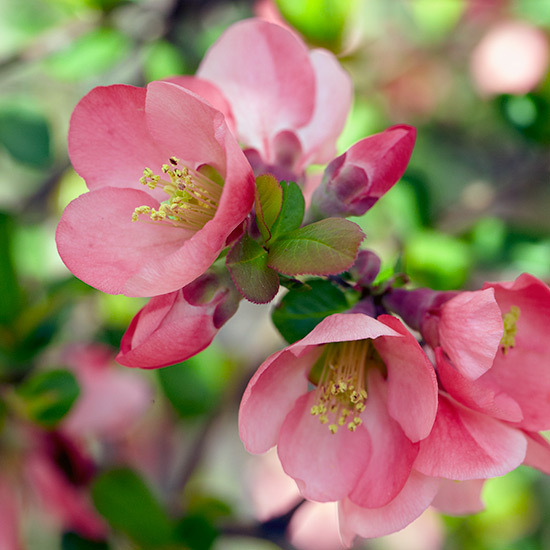 Flowering quince does well in acid or heavy clay soil and is a pollinator favorite — expect to see lots of bees and hummingbirds visit its heavy-flowering branches. 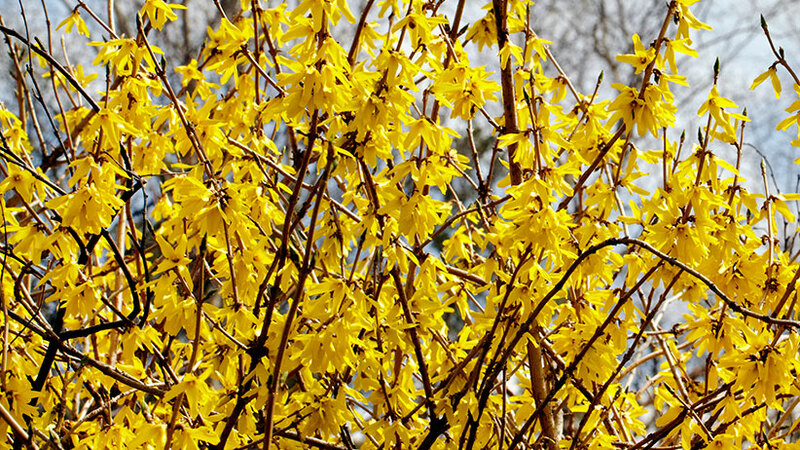 Once shade-tolerant forsythia’s finished flowering, its pest-free foliage will look good all summer long — some varieties even turn purple in fall. 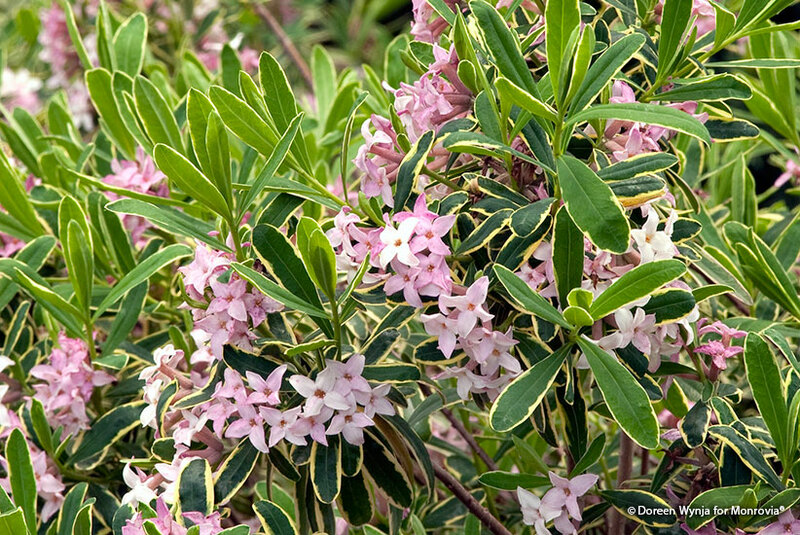 Get interesting foliage — green leaves have white to creamy yellow margins — and fragrant clusters of blooms with daphne. Just prune back the tips of branches after flowering finishes for more side branching and flowers next spring. First pop out the white bottlebrush flowers with a slight honey scent. Then the leaves unfurl quickly so you have both flowers and foliage. In fall comes a second wave of stunning color as the leaves turn the flaming orange and red tones you see in the inset photo above. You just can’t miss it! 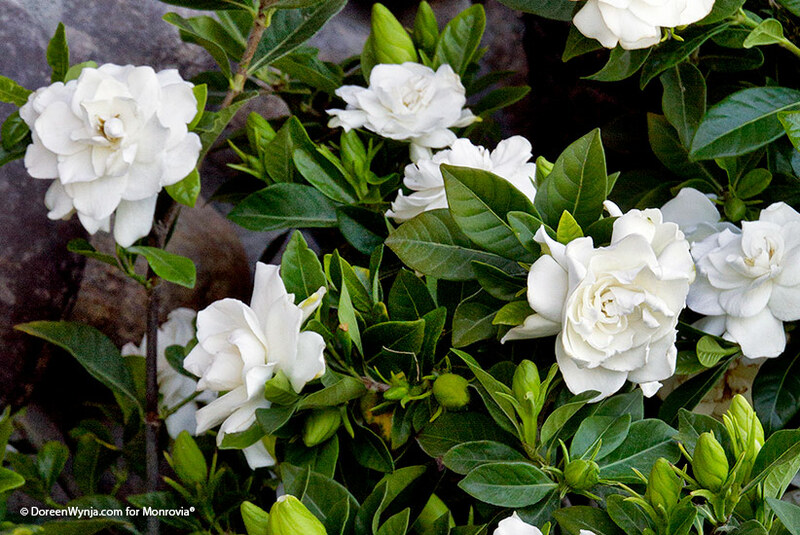 The spicy, exotic fragrance of a gardenia makes this late-spring shrub worth growing. 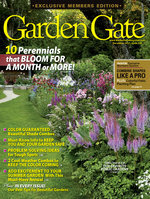 scent can be overpowering if you have a lot of plants. Plant only one or two plants near a seating area or window, so you can enjoy the wafting fragrance without being overpowered by it’s strength. 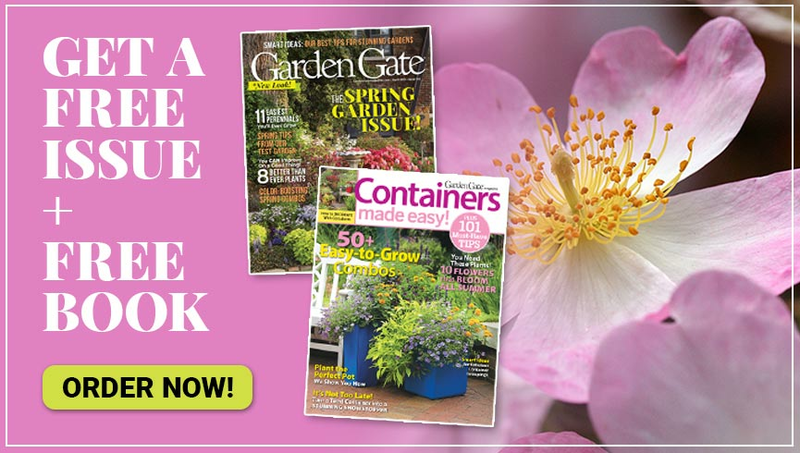 If you live where it won’t survive the winter, grow it in a large pot and bring it inside before frost.